The people you want in your home. Thanks, Frank, for the quick, courteous, and very professional service call today. I always call cabrillo for my home service. Frank done a excellent job. Professional and reliable. Great customer service as well. Dave Preciado has provided us with excellent service at least twice, both times for different needs. He is respectful of the house, always careful and neat. He explains what he has discovered and what our options are. His work is thorough; we trust his judgement. 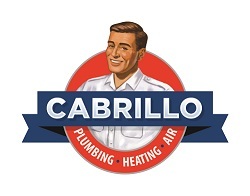 He is a big reason that we call Cabrillo when we have plumbing needs. Clean, polite and expert service. Highly recommended. 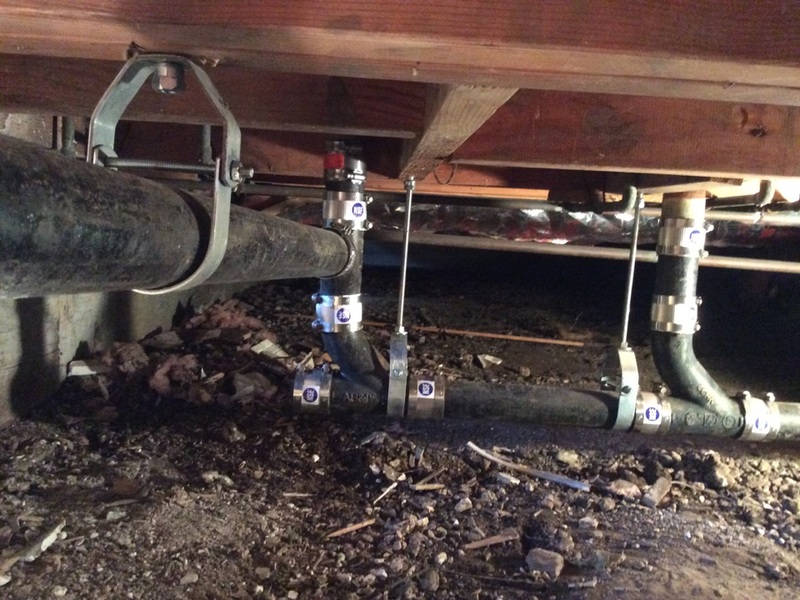 HVAC technician installed new section of 12" duct work in crawlspace. Install new insulation for furnace supply and return air plenums. Install new Selkirk double wall vent pipe for furnace. Plumber installed new continuous waste, P trap and sink strainers for kitchen sink. Plumber installed new Grohe Eurodisc kitchen sink faucet in super steel finish. Plumbing/HVAC technician performed Annual maintenance on furnace, and AC unit. Also performed plumbing inspection. Repaired a Kohler toilet and installed a pop up assembly for a bathroom sink. Plumber installed new Grohe eurodisc kitchen sink faucet in super steel finish. Installed a new toilet handle for a Kohler toilet and repaired a Porcher toilet. Also installed a new furnace condensation pump. HVAC technician evaluated supply register in guest bedroom and explained relocation of register is required. Plumber installed a new Insinkerator 3/4 horse power garbage disposal. HVAC technician performed annual maintenance on Trane furnace. Plumber removed drain blockages in bathtub and lavatory sink drains. 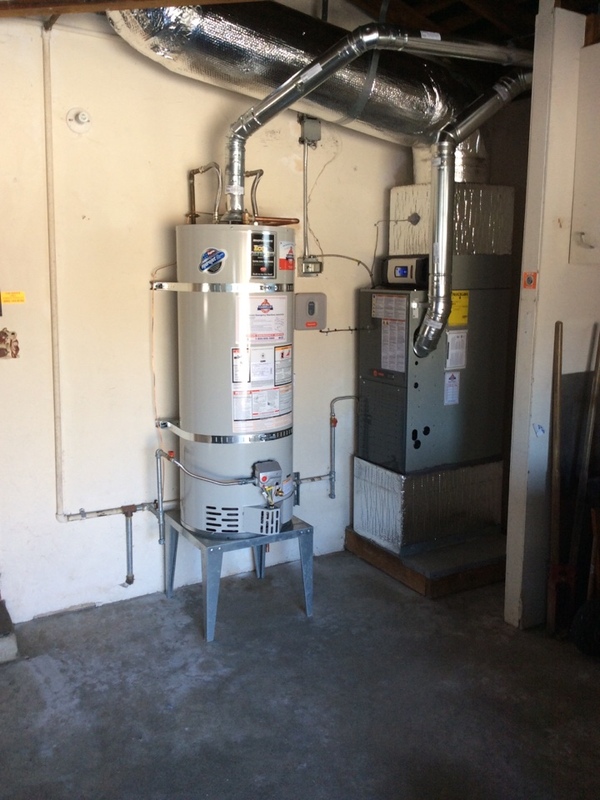 Plumbing and HVAC contractor installed new Trane furnace with clean effects high efficiency air cleaner and a Bradford White 50 gallon water heater. 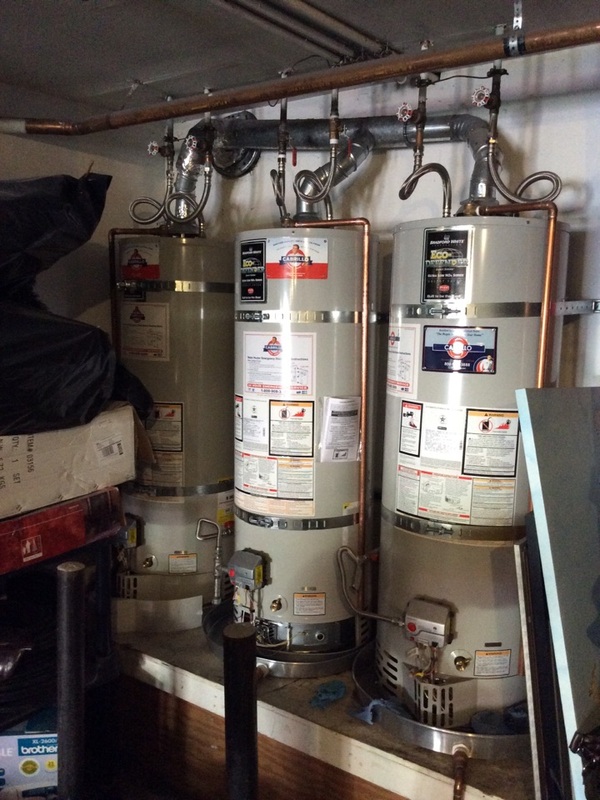 Plumber installed new Bradford White 40 gallon water heater with a new safety pan. Plumber installed new 1 1/2" copper kitchen drain line in wall behind sink and dishwasher. Also installed new copper air gap. Plumber removed stoppage in master bathroom shower stall. Plumber installed new 2" cast iron tub drain in crawlspace.